...to remind you what the f*ck is gonna happen! What are the chances the best player on the planet doesn't cover for a third straight contest...especially when he's gettin' points? 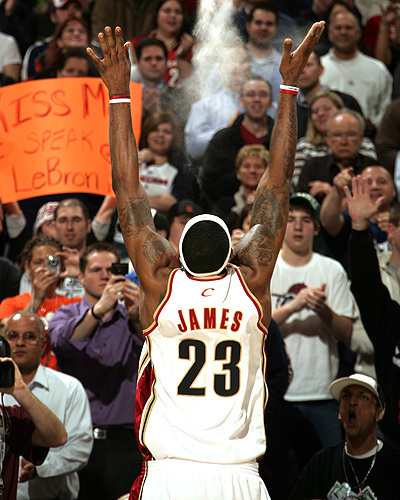 So sit back, relax, and watch Bron-Bron roll in Orlando! This page contains a single article from May 24, 2009 8:59 AM. The previous days article was Friday Night Handicapping & Hotties.